You must make bookings at least 5 minutes in advance of the time at Chamberlain's Restaurant. 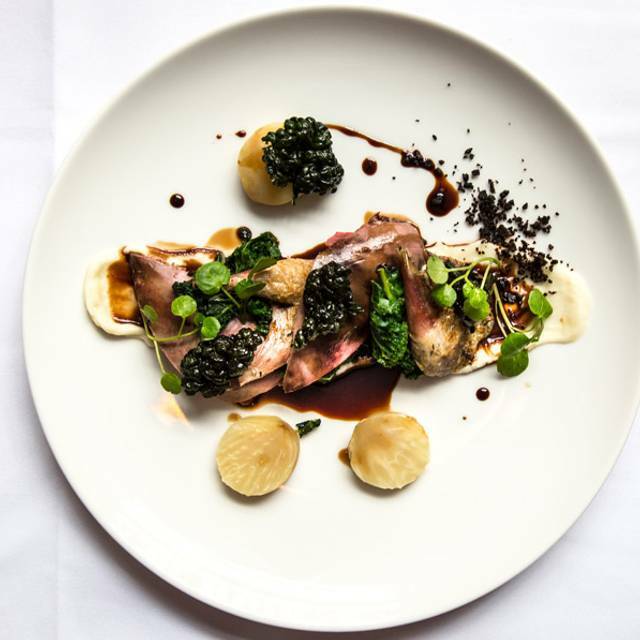 Tailor made menus to suit your budget and your guests from canape's to sit down, we work with you to ensure that your event is seamless from start to finish, and your guests the ultimate dining experience. 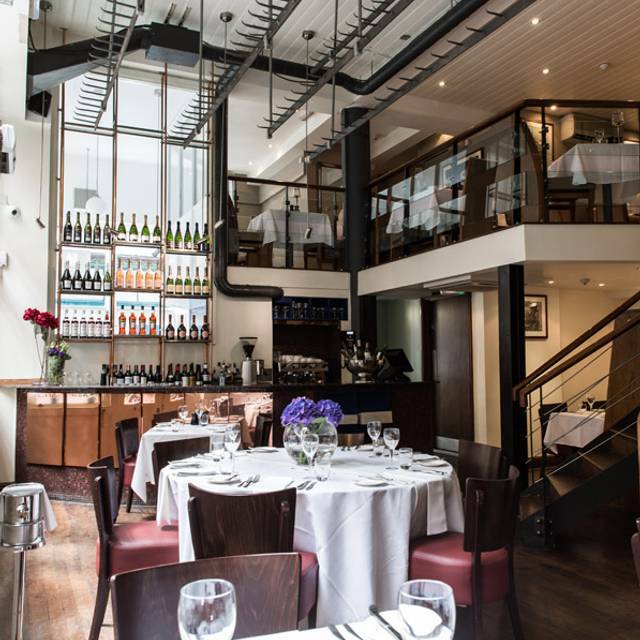 Chamberlain’s Of London is a seafood and fish restaurant offering private dining and event catering in the City of London. 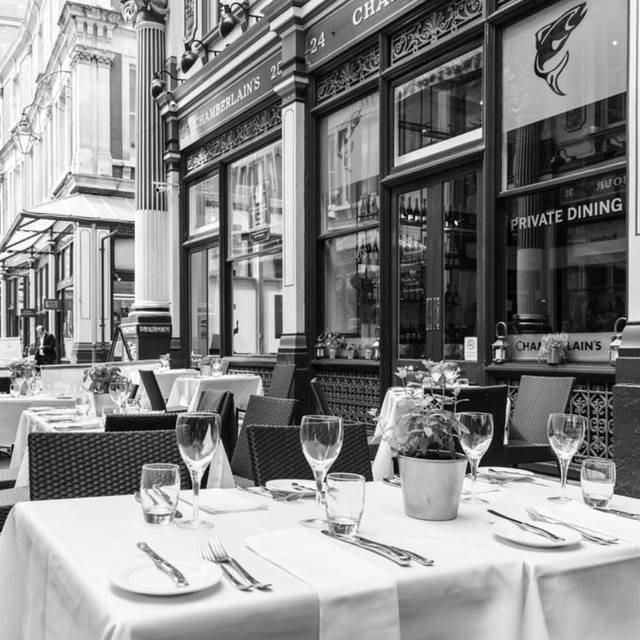 They have been serving the very best fish and seafood in Leadenhall Market for over 16 years. 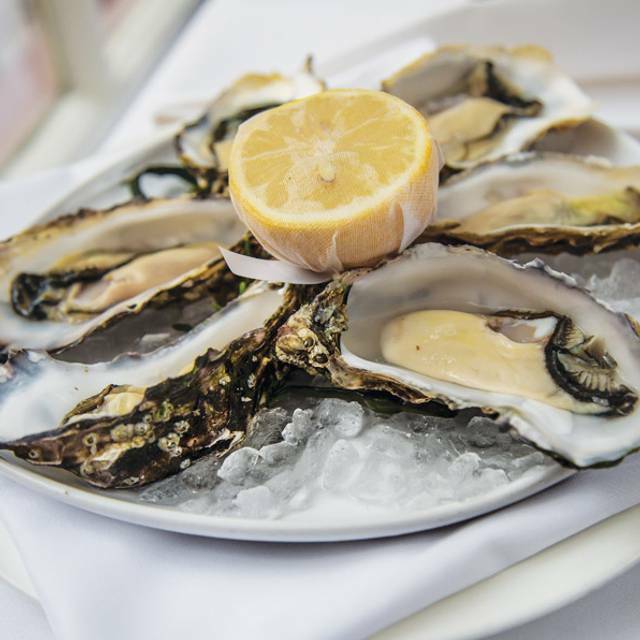 They proudly say that what is served to you directly comes from boat, to Billingsgate, to kitchen, to plate. Using this exceptional produce their talented team of chefs create dishes for our fish restaurant that reflect nature’s harvest from around the British Isles in both modern tastes as well as the classics. Chamberlain’s is famous for their Dover Sole from Brixham served on or off the bone, grilled, pan fried or poached in Champagne sauce. I like the restaurants that are tucked away in Leadenhall Market. There is an air of "secrecy" about them! We chose the set menu which, to be fair, was a tad limited as they tend to be but the food served up was delicious. The addition of a free Prosecco delivered to our table in those delightful 1950's champagne coupes as opposed to modern day flutes enhanced our dining experience. Chamberlain's still has a touch of the "old world" about it which, for me, makes it an ideal choice for a celebration or anniversary. The head waiter was charm itself and popped over to top up our wine glasses at appropriate intervals. Would perhaps choose a la carte for another visit. A very enjoyable evening from start to finish. The food and service were excellent. We had the set menu, which gave us good options. Absolutely brilliant dinner. Quality service and food won’t let you down. Great bonhomie but some food underwhelming. If menu was a wider choice it may be more attractive. Great food, location, value. Bit noisy but ambience good. Well known to all of us. High quality menu and excellent historical City location. Side dish ordering was confused with some incorrect items, but not a big deal. The food was good, sea bass was well cooked and sauce was very nice, but nothing out of the ordinary. Nice place in the City, very cool location, perfect for lunch but might feel a bit empty for dinner. A fantastic experience from beginning to end. The waiters were attentive and very courteous, and the food was just fantastic. 10 out of 10 for this lovely restaurant. We had the set lunch menu. The selection of dishes on offer was fine; the quality of food was very good. Would particularly recommend the fish in tempura batter. I would say good value considering the location and overall ambience. Food was good as was service. Good place for seafood although felt overpriced for what it is. Too slow for business people. There are better alternatives in Leadenhall Market. Great range of fish dishes all perfectly cooked. Upstairs was quiet and calm! We went for the offer and had a great meal. Loved the starter particularly, a creamy lobster soup (can't recall the dish's proper name!). Nice touch having an amuse bouche. Simply outstanding lunch. The set menu offers fantastic value and genuinely tasty food. Throw in unexpected amuse bouche and petit fours and this was quite memorable. Attentive yet unobtrusive service to boot. We went there for Valentine's night. I had thought they were fully booked for the night because in the week before we went the restaurant called me, texted me and emailed me to check that we were still coming, but it was virtually empty. It felt a little intrusive as to my mind if I book and give contact details then that should be enough, and I shouldn't be disturbed at work with phone calls. We did have a good evening and enjoyed the meal but it felt a little old fashioned, stuffy and over- priced. The staff were very nice and professional but at times seemed a little awkward and overattentive possibly because it was so quiet so there was a little too much hovering. It felt like a place trying a bit too hard in a city full of innovative food experiences and relaxed dining. If you are going to pay that much for a special night it needs to feel special and to me it didn't. I am trying to think whether it was just not to my taste and possibly it might suit an older crowd used to more traditional dining who want a quiet place for a chat. Superb fish, in a wonderful atmosphere. Great location. Good location in the city. Reasonable value given its location. Wow ... what t a treat! Perfect Sunday brunch, the bloody Marys were so good, an excellent creamy prossecco. The lobster omelette did generate food envy around the table - stunning, although the Crab risotto was so flavoursome and comforting, a joy. We all ordered fish and chips, crispy batter and beautifully fresh fish. the best tarter sauce. The highlight was the excellent welcome and attentive service from Stefan, we felt thoroughly spoiled. A lovely experience, cant wait to return! nice place. great service and ambiance. we were a group of 5 people and we were looked after very well. The minc e pies t the end of the meal were fab! I booked a table at Chamberlain's to celebrate my husband's 70th Birthday. The staff were very attentive and when we arrived there as a birthday card on the table. I had pre-ordered a bottle of champagne which took a while to arrive at the table. The food was not as special as I had hoped and very pricey for what we had. I chose a wine for the table, only to be talked into choosing one over £20 per bottle more. Quite embarrassing as it was a very special occasion. It was in a lovely setting although lacked atmosphere as we were the only table occupied in the downstairs restaurant. So overall it did not live up to my high expectations and I was somewhat disappointed. Sorry! The fish in this restaurant is very good, the service was decent and the setting is very nice. More of a business meals place than anything but still worth going to even if you have to pay yourself. Business lunch shortly after the restaurant reopened and we were treated to a glass of bubbly to celebrate. Both of us had the skate wing which was perfectly cooked and with delicious accompaniments. Service was attentive but I have marked them down slightly only because one of the side dishes was incorrect. This was, however, rectified very quickly and we were not charged. Very nice meal from a favorite lunch time venue in the city and I will certainly be back. Impressive restaurant in the beautifully restored Leadenhall Market. Fish is the thing to go for here and there is a good variety available. There is a reasonable wine list and the complimentary bottle that came with our offer was of a good quality. For fish lovers. Great choice and caring service. Perfect venue for a business lunch. Good selection of fish alternatives too. Good location in Leadenhall Market with nice surroundings. Great food and the set menu was a good selection of dishes and reasonably priced. The staff were generally attentive and pleasant. It was a very good meal especially with all the extra touches.The staff were helpful, polite and friendly.The restaurant was comfortable .The Gluten free selection could have had a few more choices.